Bhaktimarga Swami will be traveling with us, with over 25 actors, additional musicians, and actors, many flown in from around the world, so this year will be an extra special event. The Krishna Culture Festival Tour is comprised of young students of Bhakti yoga who practice the joyful process of connecting with the Divine through acts of loving service, the main focus of the sacred text called the Bhagavad-gita. They are volunteering to travel and share their passion for an ancient culture with audiences in 34 cities across the USA and Canada this summer. The Krishna Culture Festival Tour is comprised of young students of Bhakti yoga who practice the joyful process of connecting with the Divine through acts of loving service, the main focus of the sacred text called the Bhagavad-gita. They are volunteering to travel and share their passion for an ancient culture with audiences in 34 cities across the USA and Canada this summer. Even though their visit will be short and on a weekday evening, be sure to stop by and visit their performance if you’re interested in yoga, mantras and eastern mysticism. 1. Kirtan (20 minutes) by the bus tour youth kirtaniyas See photo: http://files.krishna.com/festivals/kirtan.jpg. 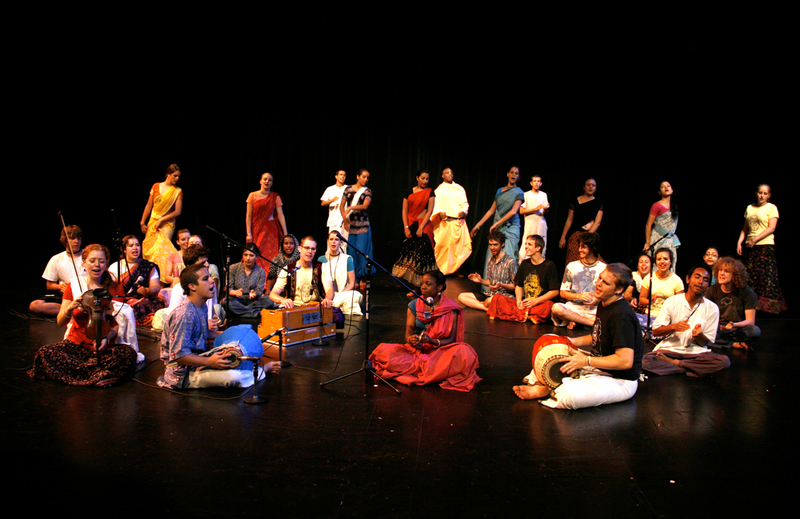 The call-and-response devotional music of India. With traditional drums, cymbals, harmonium and mantras, the musicians weave a meditative blanket of sound to transport you into a sacred space beyond time. 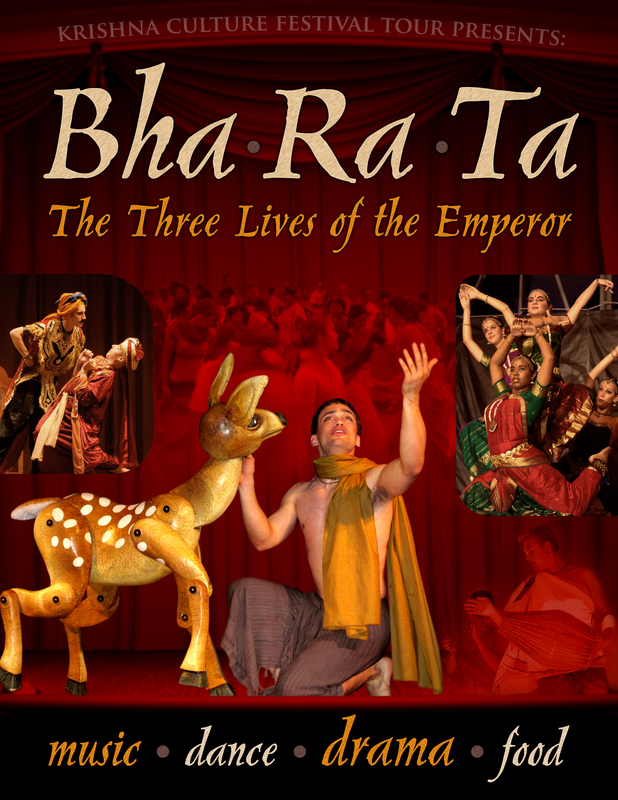 Bharata Natyam, the classical south Indian temple dance. Hand gestures, movements and facial expressions help to portray stories of divine love, complemented by traditional rhythms and melodies. 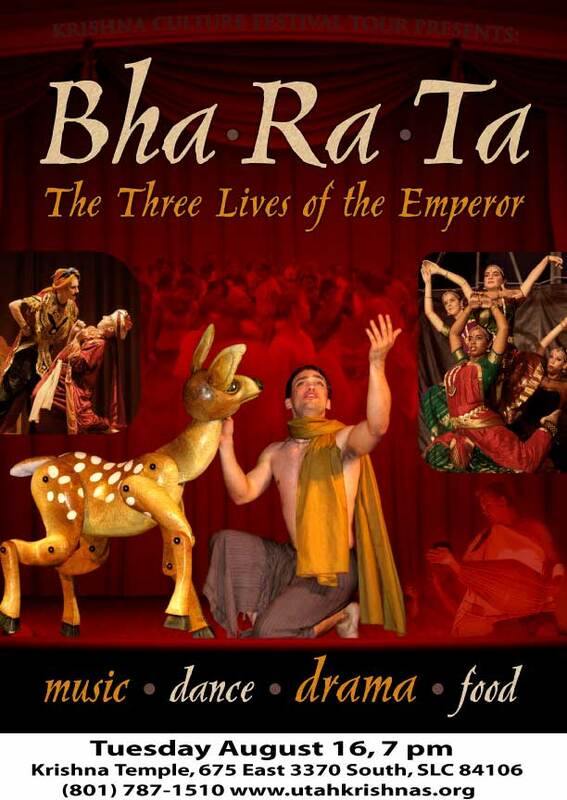 international cast, elaborate costumes and life-size puppets, this classical drama explores the many adventures along Bharata’s colorful sojourn that led him to take his next birth as a deer, and then as a mendicant, before completing his quest. An epic story from the Bhagavata Purana. Approximate total time (including prasadam) of 2 hours, 30 minutes.